Before they go out-of-season, we’re helping you make the most of melons with these healthy summer melon recipes. First up is a beautiful crowd-pleaser, a Melon Mozzarella Salad with Basil. Whip up these Cantaloupe Breakfast Bowls for a refreshing breakfast. 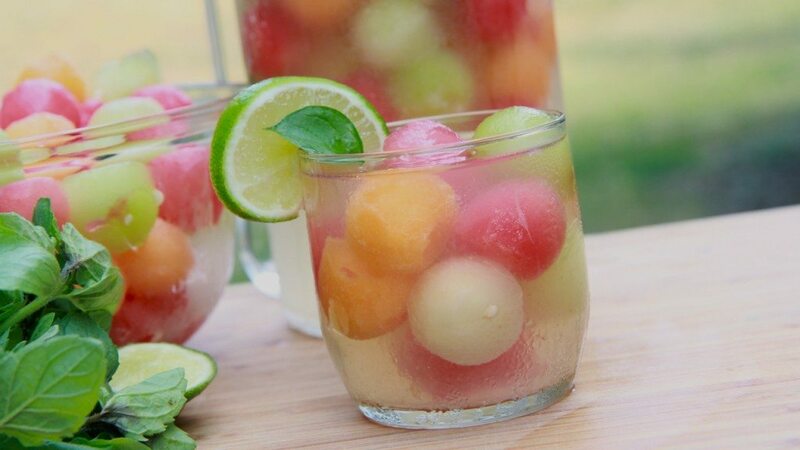 Wow when you entertain with this delicious Melon Ball Punch. This Honeydew Melon & Blackberry Salad is the perfect light lunch with friends. 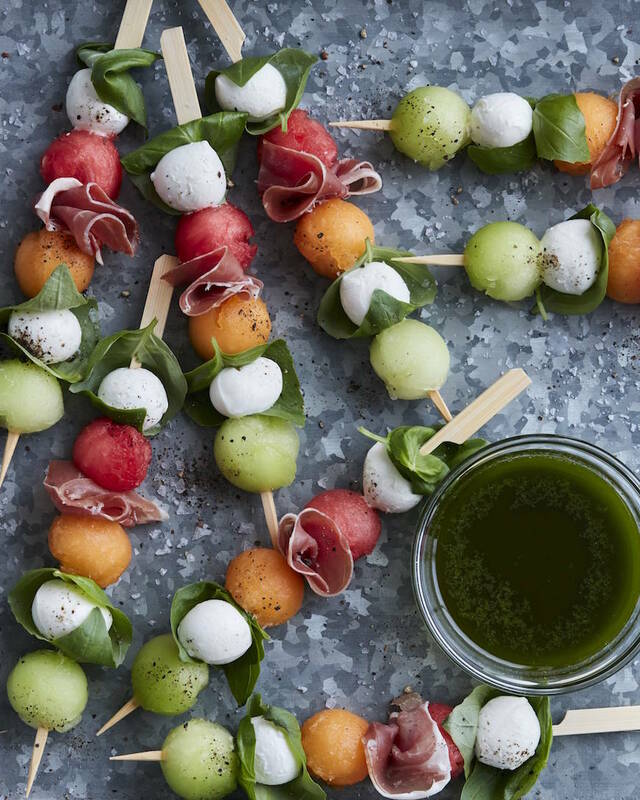 These easy Melon Caprese Skewers are a great dish to bring to end-of-summer BBQs. Tasty Grilled Shrimp with Melon, Cucumbers, and Mozzarella makes a beautiful meal. Don’t skimp on dessert with these fresh and icy Melon Granitas. For Social Wellness Month, we had recipes to help you entertain your closest friends and family and get eating socially. Make entertaining easy with these 5 quick versions of bruschetta. These Individual Salad Cups make it easy to munch healthily at any gathering. Peach and Mozzarella Skewers with Basil and Lime are a simple, tasty app. Whip up Spicy Grilled Shrimp Tacos for the perfect party meal. This Vegetarian Mezze Platter is an easy app to put out for your next party. These 8 Infused Water Combos make entertaining delicious and healthy. Watermelon, Cucumber, and Feta Salad Cups are the perfect summer finger food.